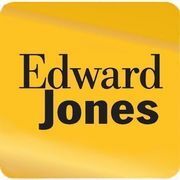 Rate and review Edward Jones - Financial Advisor: Candice M Frantz in Beaver Falls, PA, United States! Share your experiences at Edward Jones - Financial Advisor: Candice M Frantz with your friends or discover more Financial Advisors in Beaver Falls, PA, United States. ★★★★ Its very easy to place order via phone. We are available 24 hours 7 days a week.